Like any other computer, a MacBook Air can slow down over time. Plus, in Apple's laptop lines, MacBook Airs are designed for portability thus it tends to be less powerful than MacBook Pros in terms of hardware configuration. The causes for slow MacBook Air can vary widely. For example, you may have limited hard drive space; Certain applications may be draining the CPU; MacOS might be outdated; You may be multi-tasking during device backups. And as time goes by, you have too many ﻿﻿﻿﻿﻿Login Items on startup, last but never the least, the hard drive may become cluttered. Whatever the cause is, this kind of performance issue is surely frustrating as it decreases our productivity. Fortunately, there are some simple and efficient solutions that can help speed up a MacBook Air. That's what I'm going to share with you in this post. Note: the tips and tricks below are merely general ​advices based on my own experience. They are never intended to be viewed as official fixes from Apple. If you have a brand new MacBook Air and it's running slow, contact Apple Support directly or schedule a visit to Genius Bar. An almost full hard drive can cause a number of issues, besides a lack of storage on Mac. You may have saved numerous photos, documents, and videos that are eating up much of your MacBook Air's hard drive (or SSD). If you are a heavy app user, you may have downloaded dozens of apps which can also take up a significant amount of space. 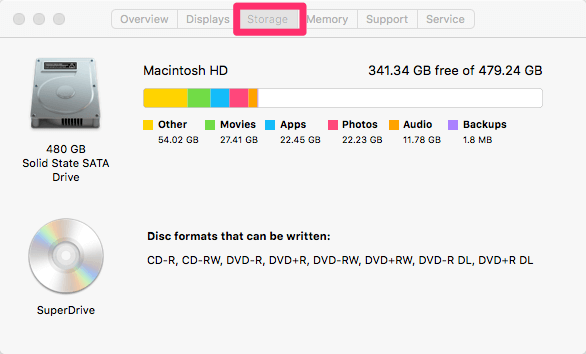 To see the disk usage information, click on the Apple logo on the top right corner. Then click About This Mac, and check the amount of Storage left (see image above). In general, aim for 10-20% free space. The more, the better. To make up more storage, you can manually identify and remove large duplicates, system junks, or uninstall apps you rarely use. It's worth noting though, the process could takes hours to finish. 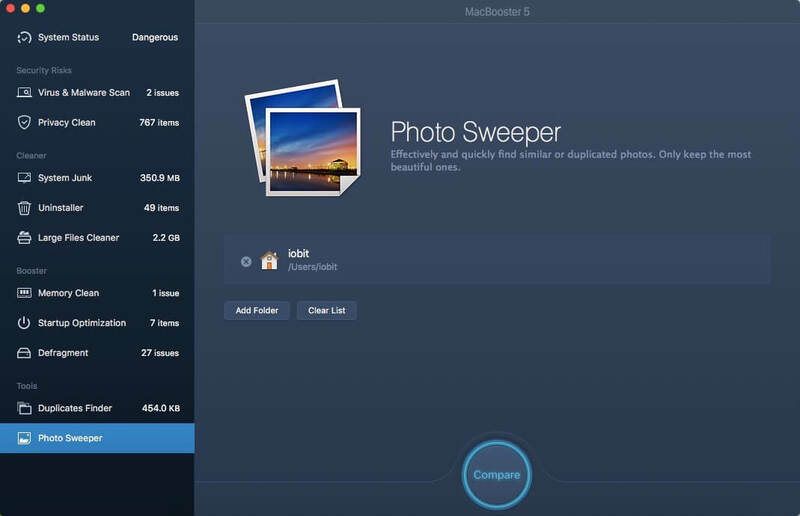 If you prefer a more efficient way, try MacBooster﻿﻿﻿ 5 -- a super useful app that does a number of things to keep a Mac clean and safe. That includes deep cleaning Mac system to help release gigabytes of valuable disk space. We've reviewed this app in another article. 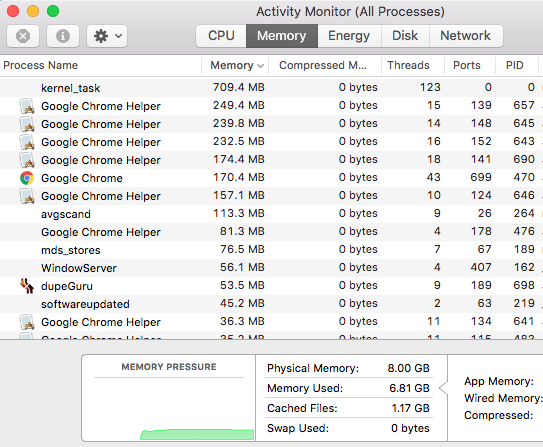 MacBook Air is less capable of handling too many programs at the same time due to its limited RAM (random-access memory) and hard disk volume. If you continuously run multiple programs at once, chances are your Mac will lag. Even worse, it freezes to death. To check whether you've having apps that are consuming more resources than they should, go to Activity Monitor (Applications > Utilities > Activity Monitor). Once you identify them, quit as many processes running in the background as possible, simply select the desired apps and processes and hit Quit. Note: for some apps, even if you have closed them by clicking "X" button on the top left corner, they may be running in the background. These processes can slow down your MacBook Air. Make sure you have quit them for good. This tip applies to those of you who are encountering a slow startup. For instance, your MacBook Air takes more than a minute to fully load into the first screen. Most of the time, it's due to an excess of applications, or login items, which run by default the moment you start your Mac. To manage these login items, you can use CleanMyMac 3 for the faster fix (go to Extention > Login Items, and remove unwanted startup apps). Of course, you can also do this manually. On your MacBook Air desktop, first launch System Preferences. Then click on Users & Groups, select your user account, and then click on Login Items. There, you will see a list of items (apps and processes) that open automatically when you log in. Uncheck those items you do not want to run during start up. On the other hand, you can check any applications that you would like to open during startup. An outdated OS X (now we call it macOS since the Sierra update) may make your MacBook Air sluggish as well. To check which macOS version your Mac is running under, click on the Apple icon on the upper left corner, then click About This Mac, now the new window will show basic information about your Mac including which OS version it's currently running. 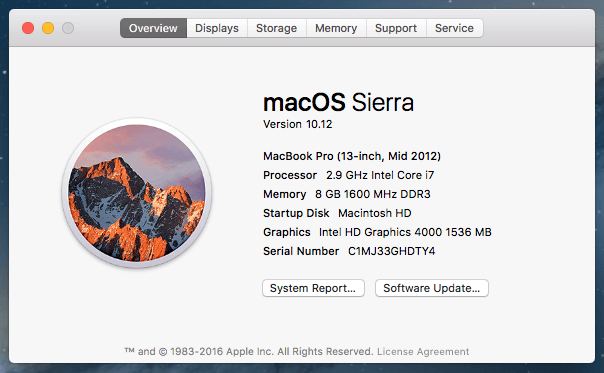 If you MacBook Air is still running an older macOS, for example, Yosemite, while the latest one is already Sierra. Consider updating your Mac. Caution: before reinstalling a new macOS, be sure to back up your files and applications to an external hard drive. After that, restart your Mac. When a gray screen appears, press down on the Command + R buttons; this will launch the OS Recovery mode. Choose your language, and then click on "Reinstall OS X". The installation process will begin; the Mac will download necessary information from Apple. These are all the speed techniques I'd like to share with you. Are there any other solutions? Sure. For example, if you are willing to invest in hardware upgrades, such as getting an extra RAM, which would help run apps more smoothly and perhaps eliminate freezing times. Other times, you may find replacing MacBook Air hard drive with an SSD (Solid-state drive) extremely effective in boosting the performance to a greater level. See why from this article. But they are without cost. Anyhow, let us know how you like these tips.